Contents: Preface. 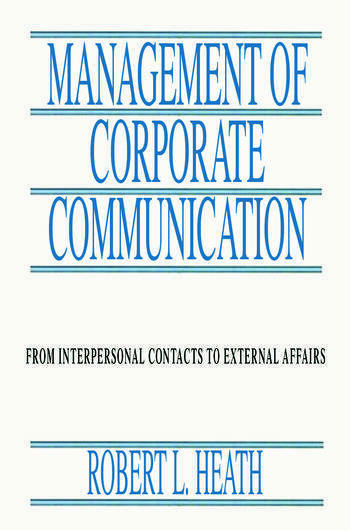 Managing Communication in Companies: An Enactment Point of View. Coordination Through Meaningful Expectations. Narrative, Enactment, and Organizational Discourse. Information: Uncertainty Reduction, System, and Satisfaction. Managing as Symbolic Action: Enacting Interpretations in Organizational Settings. Companies as Negotiated Enactment of Stakeholder Interests. Interpersonal Contacts: Enacting with Boss and Others. Networks: Many People Speaking with a Single Voice. Markets, Images, Issues, and External Stakeholders. External Communication with Public Policy Stakeholders.